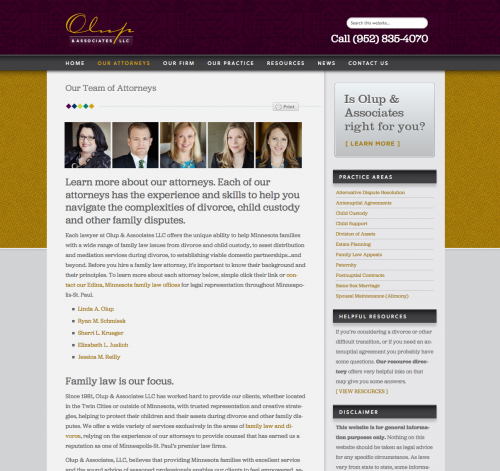 Olup & Associates: setting the gold standard for family law in the twin cities. When an affluent Minnesotan is ready to cut ties with a spouse, attorney Linda Olup usually gets a phone call. Because, when the assets are considerable and things get contentious, Linda is the attorney you want in your corner, not your spouse’s. You definitely don’t don’t want her playing for the other team. 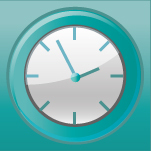 Linda and her firm have been practicing family law for over 36 years, with countless victories to their credit. Linda heads up Olup & Associates, LLC, one of the Twin Cities leading family law firms. I was hired by her firm to do some minor re-brandng, and a major overhaul of a site that had close to 70 pages. Having worked with many attorneys in the past, I’m familiar with the somewhat black and white nature of many law websites. In my estimation, many law websites are very grim, bleak, cold even. To really help Olup & Associates stand out, the job was to really breathe some humanity into this site, so that when prospect landed here, they would quickly understand the focus on family law, and the care and sophistication the firm could bring to this highly contentious area of law. 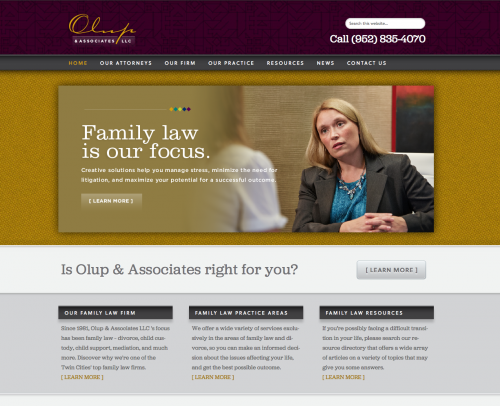 The goal from day one, was to communicate that Olup offered the Gold Standard in all areas of family law. And with over 70 pages of family law content, all carefully edited by Linda Olup herself, the site hits the mark with flying colors.